Heineken’s takeover of Punch Taverns will not face an in-depth competition probe after the brewer offered to sell pubs to address concerns. The Competition and Markets Authority (CMA) had said there were 33 areas where pubs would not face sufficient competition if the deal went ahead. But following the brewer’s offer to sell pubs in the affected areas the CMA said it was satisfied its concerns had been addressed. Heineken will buy 1,895 Punch pubs. Private equity firm Patron Capital will buy the remaining 1,329 pubs in the Punch estate. “Heineken has offered to sell pubs in each of the affected areas to preserve competition and ensure customers in these locations do not lose out,” the CMA said in a statement. “Before reaching a final decision, the CMA carefully assessed and consulted publicly on these proposed undertakings. The CMA is satisfied that its concerns have been addressed and has therefore decided that the merger will not be referred for an in-depth phase 2 investigation,” it added. Heineken already owns 1,100 pubs. 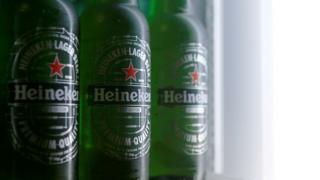 The CMA’s preliminary investigation concluded that the deal would not damage the chances of Heineken’s competitors selling their own products, as the pubs being bought only make up 4% of the market. It also felt that it was unlikely Heineken would reduce the choice of beer and cider available in the Punch pubs, as this could lead it to lose business.